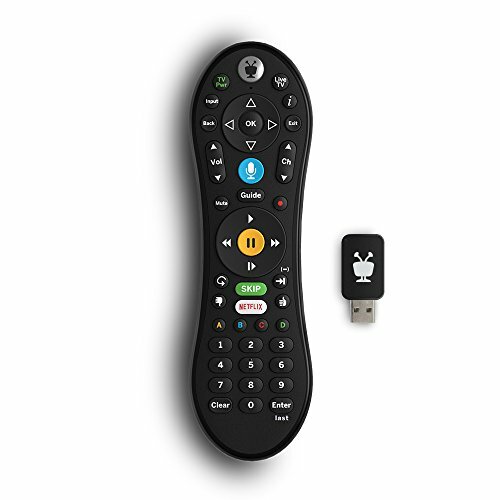 Upgrade your TiVo Roamio or TiVo Mini to enable Voice with the all new TiVo VOX Remote. TiVo’s Voice feature gives you the power to find exactly what you’re searching for with just a few words. Whether you’re skipping entire commercial breaks at the press of a button or simultaneously searching across TV, available on-demand and popular streaming apps, there’s nothing like the power of TiVo VOX. Skip commercials with the push of a button or hit the VOICE button and tell your TiVo to "Skip it". Use the Remote Finder button on TiVo Roamio Plus or Pro to have the remote play a jingle. IR/RF signal removes line-of-sight requirements, ideal for in-cabinet setups. Requires 2 AA batteries (not included). On-screen user interface must be upgraded to the New TiVo Experience for voice-control functionality. Upgrade details provided upon remote installation.